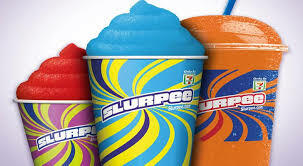 Savvy Spending: 7-Eleven Bring Your Own Cup Day on 5/19 and 5/20! Fill any cup for $1.50! 7-Eleven Bring Your Own Cup Day on 5/19 and 5/20! Fill any cup for $1.50! 7-Eleven will be having it's annual BYO Cup Day (bring your own cup) on 5/19 and 5/20! Visit a 7-Eleven on those days between 11 am and 7 pm and fill any cup for just $1.50!